The match between Germany and Italy is just moments away. Yesterday we looked at the history between those two sides. Let’s take another detour through history and look at the historic moments each of them have produced on their own. 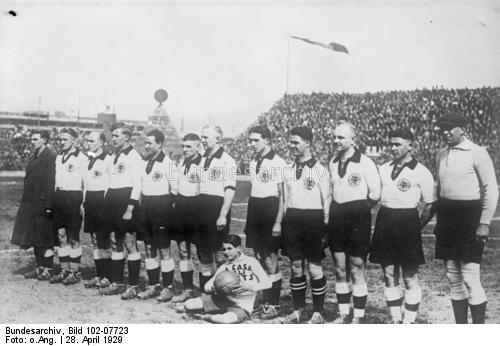 Posted in German national team and tagged Das Wunder von Bern, Euro, Fritz Walter, Germany, Helmut Rahn, Italy, Maz Morlock, Toni Schumacher, World Cup. Bookmark the permalink. Tomorrow it is once again time for the clash of the titans of European football. Between them Germany and Italy have seven World Cup wins, and four European Cup wins. Let’s rehash some of the greatest moments from previous encounters, and break down the stats between the two sides. Posted in German national team and tagged Euro, Germany, Historic football moments, Italian national team, Stats Germany vs. Italy, The match of the century, World Cup 1970, World Cup 1982. Bookmark the permalink.